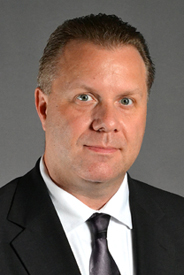 Dennis joined The Austin Allen Company in 1995. Dennis has developed a solid following of clients and candidates, due in part to his strong belief in excellent customer service. During his time with Austin Allen Company, Dennis has received numerous awards for outstanding performance including “Recruiter of the Year” and nationally winning “Highest Fee of the Year” award. Dennis has successfully completed searches for Accountants, Designers, Engineers, Human Resources, Manufacturing Management, Materials / Purchasing / Supply Chain, Quality Control with a wide range of companies that include Automotive Components, Distribution, Durable Consumer Products and Machinery. Outside the office Dennis is married and has 3 children. His love of music began in his early teens and he has designed and created a professional level recording studio and works with bands throughout the United States. As an H.R. professional for the past twenty two years I have worked with recruiters all over the country. In 2000 the automotive supplier company I was with was acquired by a company in Ohio. Martha Woodham (Now Retired) at Austin Allen Company contacted me and I was placed with a great local manufacturing company. I was so impressed with Martha and the staff at Austin Allen. The personal attention shown during that time is why I use Austin Allen in recruiting engineers and managers to my current company. Dennis Cupp is the definition of professionalism. The candidates Dennis presents are qualified professionals and he sells my company very well to these candidates. Once I begin speaking to a candidate they have already been convinced by Dennis my company is where they want to be. I have given Dennis complicated managerial positions to fill and I have been quite amazed with the results. It is a pleasure to work with Austin Allen Recruiters and it is great peace of mind knowing Dennis Cupp will find the perfect candidate for my company. My experience with Dennis Cupp at Austin Allen was outstanding. Dennis provided timely, honest feedback and was astute in making a good match with my skillset and his client’s requirements. I believe that Dennis was key in helping to bring this candidate together with the dynamic company that I was looking for. I am grateful and recommend Austin Allen to candidates who are in search of professional recruiters.